If you're as old as me you do remember them well. I remember the hand-drawn ads very well. 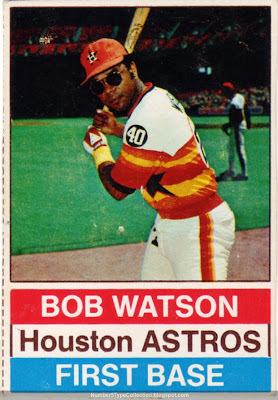 I remember wishing that the very ad would somehow produce cards, like they would magically appear underneath the ad. Great post. 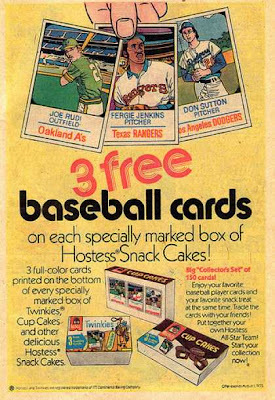 As a child, I looked forward to seeing which Hostess snack my mom would pack in my lunch. As an adult, I look forward to collecting the 70's cutouts of all the A's and Padres' players. 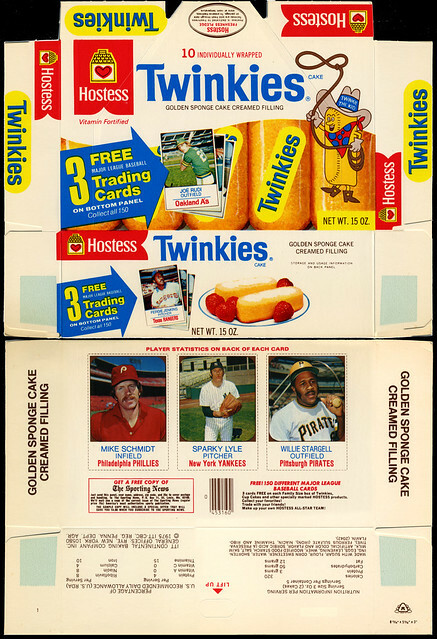 Check out the slides of Hostess collectibles hitting eBay at the end of this Huffington Post piece. Lots of people posting stuff (including cards) and hoping for...something.